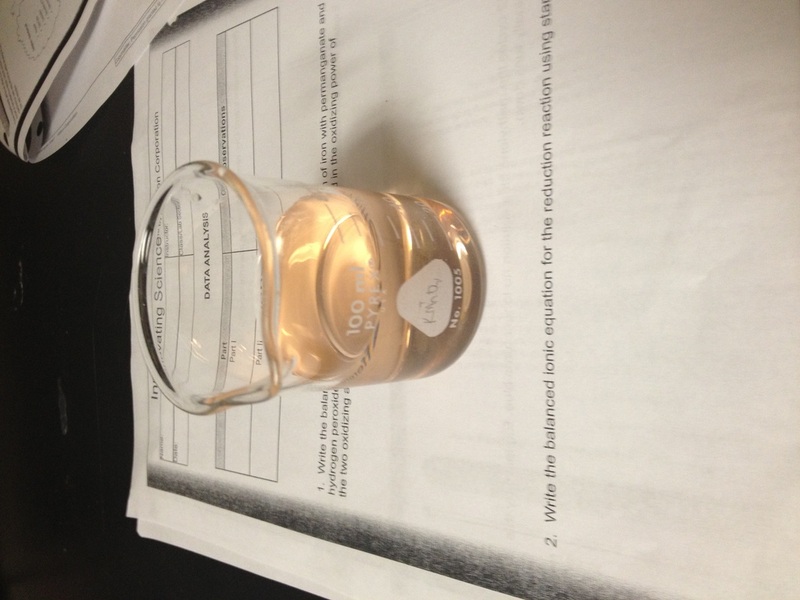 The purpose of this lab was to perform oxidation and reduction reactions and observe the changes. 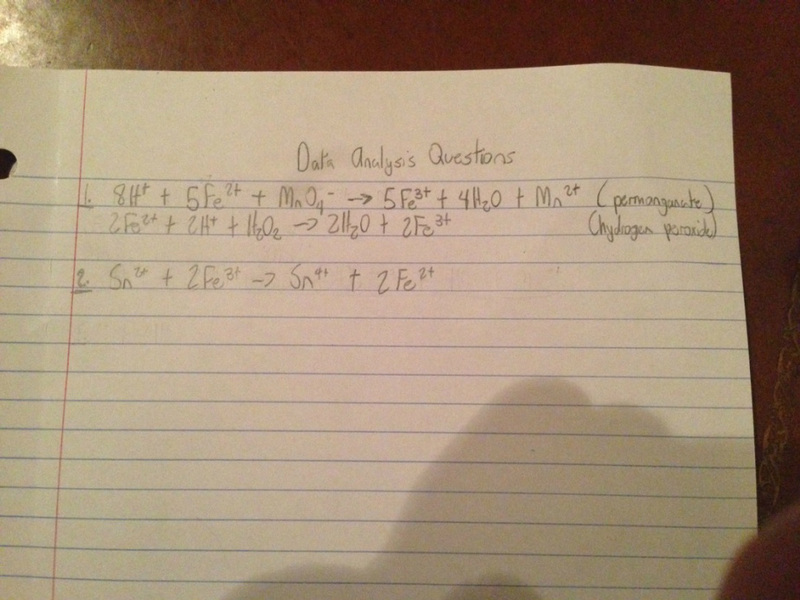 The goal was to figure out what reactions occured and write out the equations. Part 1 Both solutions were clear in the beggining. When ferrous ammonium sulfate was added to the solutions, both turned a peach color. 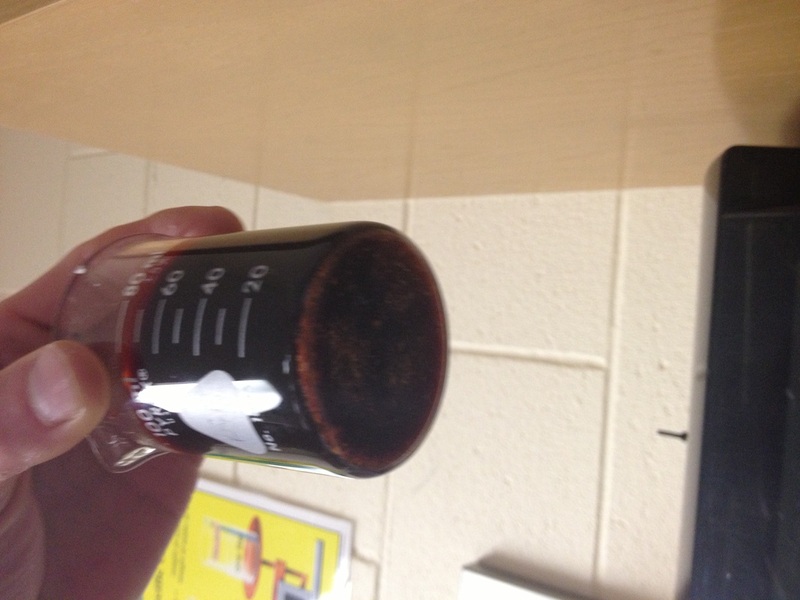 After the potassium permanganate was added, the solutions turned a dark red almost black color. 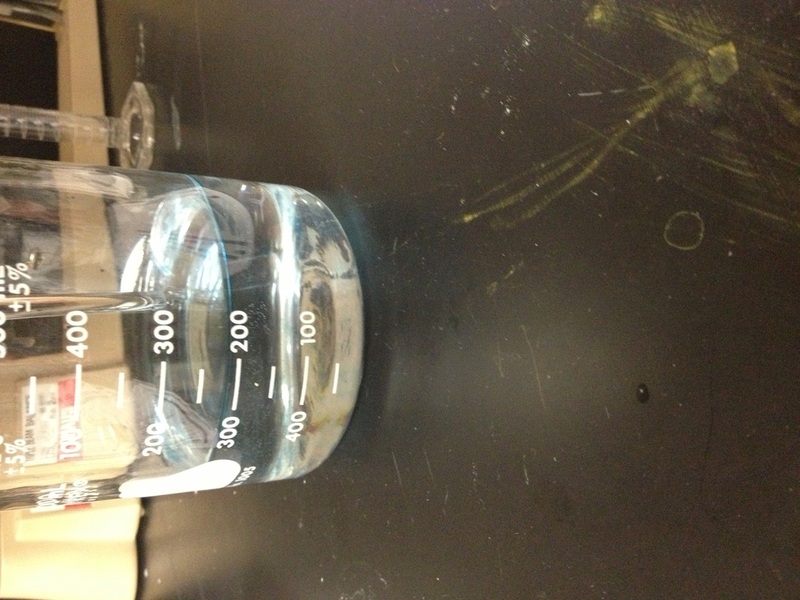 When stannous chloride was added, a precipitate formed at the bottom of each beaker. Part 2 At the beginning, the solution was dark blue. After about 5 minutes the solution became clear. When the solution was shook and stirred, the blue color returned. Allowing it to sit made it return to the clear state. This cycle would repeat itself for about ten more attempts and then it will just remain clear. In conclusion, many redox reactions were observed. In part 1 when ferrous ammonium sulfate is added, electrons are transferred and the solution turns a peach color. When the purple colored solution of potassium permanganate was added, another redox reaction occurred and the color turned dark, almost blackish red. Finally, the third redox reaction that took place when stannous chloride was added to both solution. In the second part of the lab, redox reactions occurred when oxygen was presented to the solution. This happened when the solution was stirred by allowing the oxygen from the air to enter the solution. By transferring electrons, there were signs that reactions occurred through color changes and precipitates. 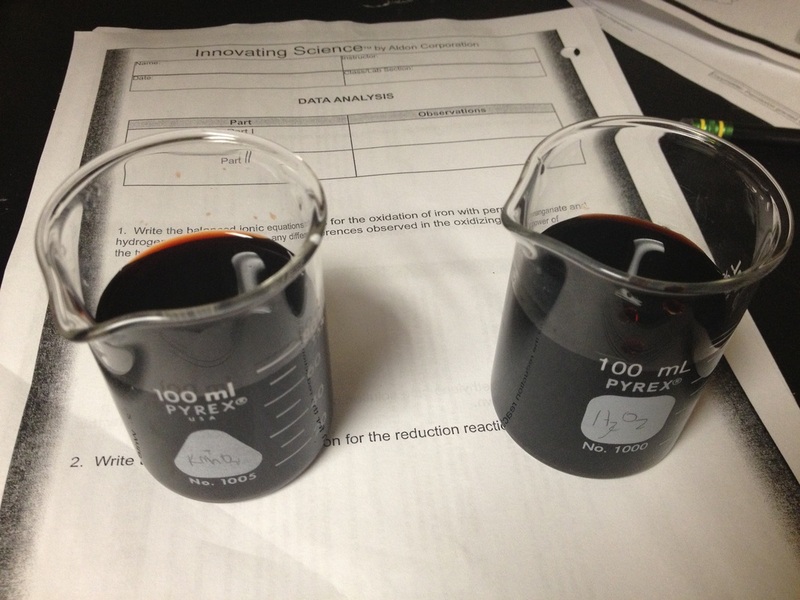 In this lab, the main topic covered was oxidation and reduction reactions. These reactions occur when electrons are transferred. In this reaction, one compound has to lose the electrons and another has to gain them. In some cases the same element will be both oxidized and reduced. When this occurs, it is known as a disproportionation reaction. When something is oxidized, it's charge goes up due to a loss of electrons. When something is reduced, it is the exact opposite. The compound or element will gain electrons and its charge will become more negative. The element that gets oxidized, it is also the reducing agent. The element that gets reduced therefore, is the oxidizing agent. The agents are the whole compound that includes the element that has the change in electrons. The thing that gets oxidized or reduced is only the individual element. Some common redox reactions include photosynthesis, combustion reactions, and the oxidation of sugars, fats and proteins for energy in the body. All single replacement reactions are also redox reactions. When balancing the reaction, the half-reactions need to be balanced first. The half reaction is pulling out the oxidation and pulling out the reduction and making two separate reactions. Balance these two individually then put them back together as one reaction and you now have the final balanced redox reaction. 1. The permanganate has a greater oxidizing power than the hydrogen peroxide because it reduces the iron by five electrons rather than just one. 4. 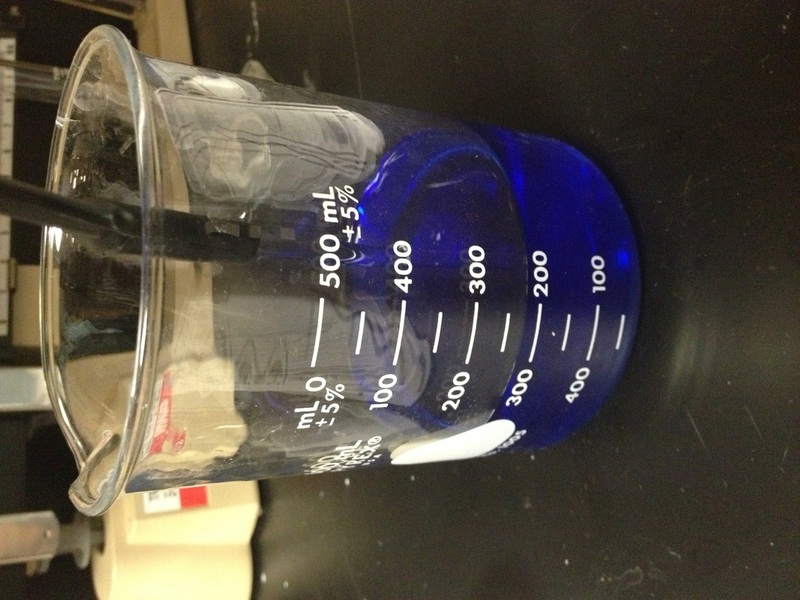 When the colorless solution of methylene blue is shaken, the blue color returns. This occurs because oxygen is added when the solution is shaken. When oxygen is added it acts as an oxydizing agent and turns the leucomethylene blue (clear) back to the methylene blue (blue color). 5. The reaction eventually runs down because when the reaction is oxidized, oxygen recieves the electrons. Oxygen does not release the electrons back into the solution and eventually all of the electrons belong to the oxygen and the color change will no longer occur becuase there is nothing thats oxidized.